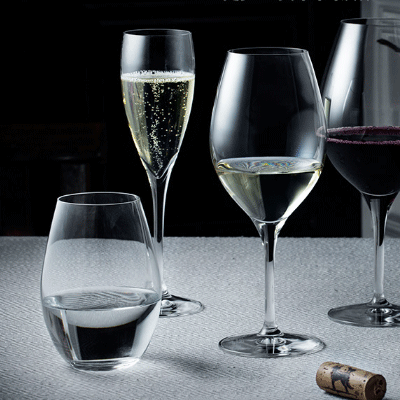 Laser engraving for hollow glassware, plane glass and special glass. 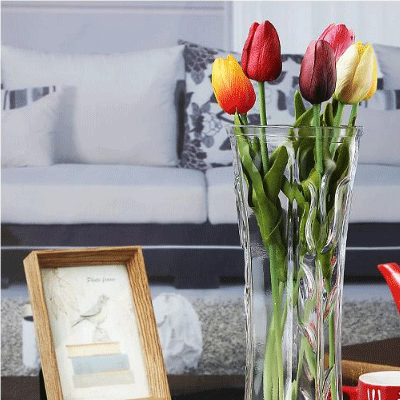 Glass is a transparent solid-like material, which is widely used in people's daily lives. Due to the fragile properties of glass, the process for processing glass is quite complicated. However, laser technology provides a more accurate method of processing glass. 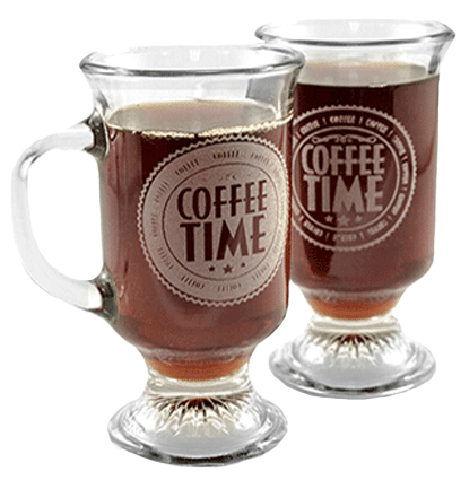 Why buy a laser marking machine for engraving and processing glass? 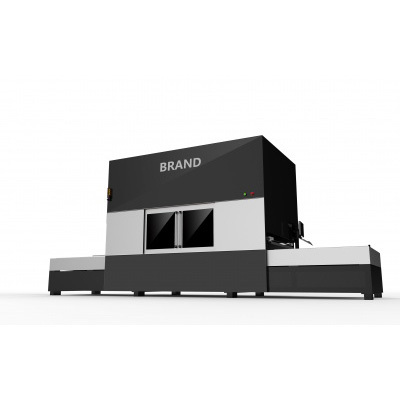 As a non-contact processing uses single photon absorption in the wavelength range, the laser marking machine has greatly reduces the risk of glass breakage. 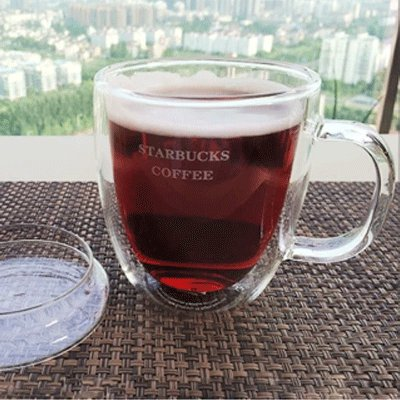 Using laser-engraved glass, a clear imprint can be marked directly on the glass surface, which requires a pure surface. A laser radiation is used to generate a contour-conspicuous mark on the surface of the glass, after a few days, the laser is spread to the area outside the original mark to form a fragment. Multiple radiation heats the area adjacent to the marked area by heat conduction, thereby reducing the secondary cracking possibility, this method is very effective in soda-lime glass and borosilicate glass marking. A laser radiation is more effective in marking silica glass and quartz glass because of their much lower expansion coefficient. A series of annular cracks are used to form text, bar code, square or rectangular code, and other shape code patterns. 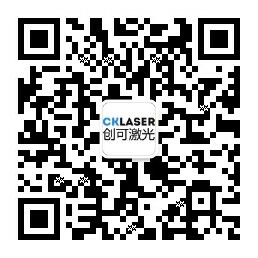 The CO2 laser marking machine often adopts this method, by setting a marking parameter that causes fewer cracks. It produces discrete points on the glass to form annular cracks through the heating and cooling cycles. When the glass is heated, it expands and squeezes the surrounding material while the temperature rises to the softening point of the glass, rapidly expands to form a dome with low density on the convex of the surface. With the heating and cooling process, the influenced glass surface changes. The effect of this method is not immediately visible but it only slightly produces a polygon crack along the laser marking area after being pressed. This method can print a clear mark on high-quality automotive glass that requires purity to the surface. Ultraviolet light focused light spot, processing and heat affected zone is minimal, and is mainly used for super fine marking, special material marking and engraving. Applicable to the silicon wafer, chip ceramic, all kinds of glass, LCD, PCB processing, such as polymer film material marking and surface treatment. 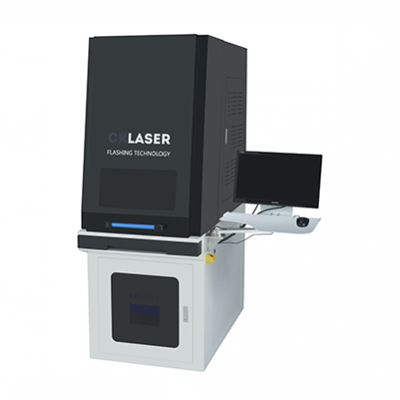 CKLASER sole large-scale optical fiber laser marking machine ensures large working range up to 1200 mm * 1200 mm wide. The overall width uniformity consistency is higher, with the United States imported scanning head, makes it have larger range and a finer carving quality and faster processing speed.